Germaine Martel made waves when he released his first CHH mixtape #Human back in 2015. Since then the Orlando based emcee and producer has been gaining traction and garnering the attention of fans and fellow artist. We named him one of 2016's 5 CHH artist on the rise, and he's collaborated with emcees such as Mouthpi3ce and GS. Martel also recently received a co-sign via Twitter from Andy Mineo in the form of several flame emojis for track number 4 from the album "What's Up". 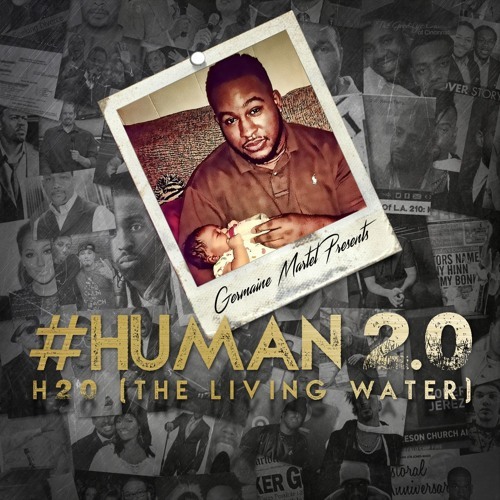 For an encore to all of that Germaine Martel has released his first mainstream album; a follow up to his initial offering, #Human 2.0; H20 (The Living Water). Listen below and support Germaine Martel by purchasing #Human 2.0 via iTunes or Google Play.